Book A Mobile DJ From DJ Hire London & Mobile Disco Hire For Events. Welcome to DJ Hire London The No1 Place Book DJs Or Hire DJs Mobile DJ Hire & Mobile Disco Hire Professional DJs For Hire Events DJs London. Book A Mobile DJ Club DJ Party DJ Birthday DJ Wedding DJ Or Kids Disco For Any Event Or Occasion. Our UK-DJs Are Some Of The Best DJs On The .Net And Almost Every One Of Our DJs Have Played On A Radio Station So Know Exactly How To Please A Crowd Of Clubbers, Party Guests, Or Can Also Provide Background Music For Your Event. Ministry Of Sound, Egg London, Pacha London, Pacha Ibiza, Fabric London, Heaven London, Herbal, Sugar Hut Brentfood, Cream at Nation Nightclub, Mahiki London, Tiki Bar, Aquarium, Koko Camden, O2 Greenwich, Area Vauxhall, The Light Box Vauxhall, Glastonbury Festival, Coachella Festival + Many More. Our DJs Will Play Any Music Requested Including Chart, Pop, Cheese, 60's, 70's, 80's, 90's, Rock & Roll, House, Garage, Club Classics, Hip Hop, RnB, Drum & Bass, Dubstep, Reggae, Dancehall, Rare Groove, Slow Jamz + More. We Can Provide Short Notice DJ Cover For Those Last Minute Events Or Cover Booking Where Another DJ Has Let You Down. All Our DJs Come Fully Prepared With A State Of The Art PA Hire Sound System Disco Lights & All The Music You Will Need On The Night. 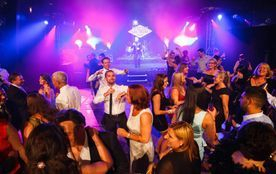 We Will Also Give You The Opportunity To Email Us With Your Own Playlist So You Get To Choose The Music On The Night If Not You Can Always Let Our Mobile Disco DJs Do The Job For You Leaving You To Enjoy The Night. All The DJ's We Have On Our DJ Hire Agency Will Take Requests From Your Guests Ensuring You Hear Exactly The Music You Like On The Night. 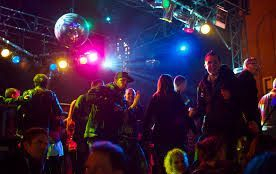 Our Mobile DJ Hire Agency specializes in Birthday DJs, Sweet 16's, 18's, 21'st's, School Disco DJ's, House Parties, Office Parties, Childrens Disco Parties Christening DJ, Wedding DJs, Anniversary DJs, Halls, Clubs, Pubs, Outdoor Events + More. If You Would Like To Book A Mobile DJ Or DJ For Wedding Then Please Contact Us On 07402 700 695 Check Out Our Contact Us Page Or Our About Us Page For More Information On Booking DJ's !! !